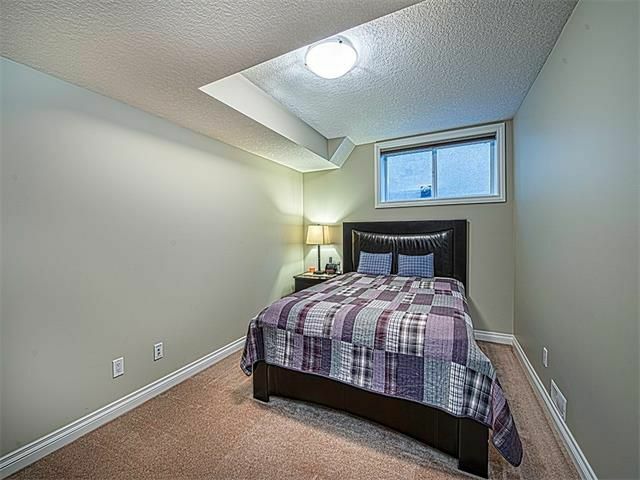 Spectacular three-bedroom bungalow with upgrades throughout located on a quiet no through street. 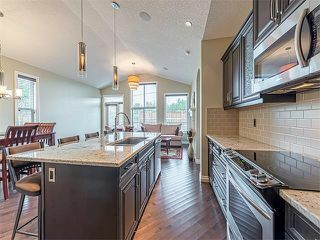 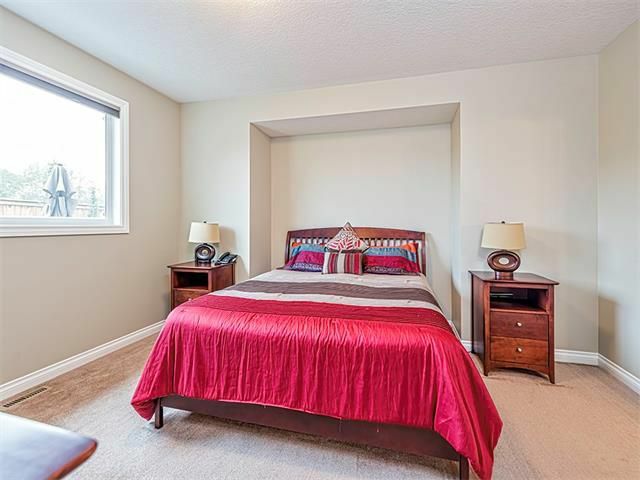 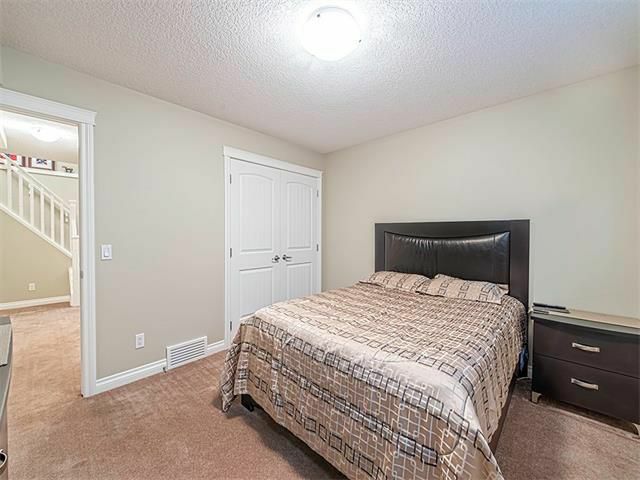 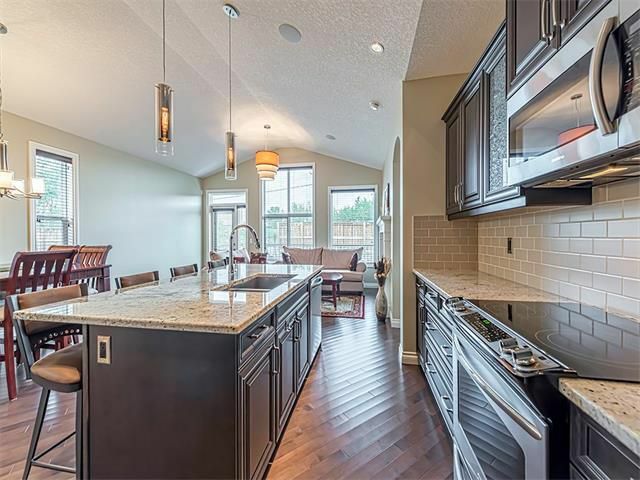 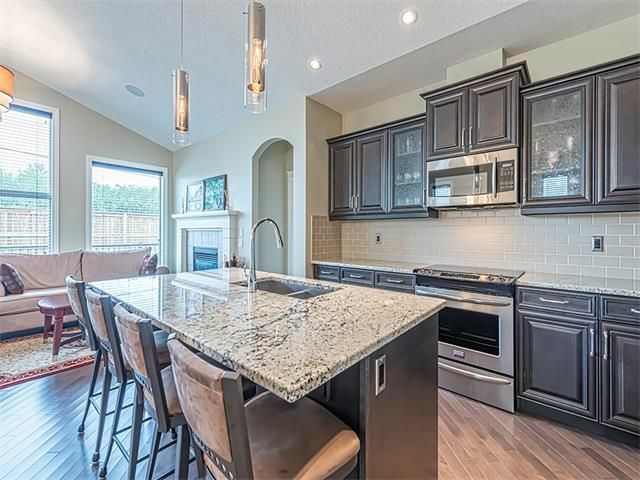 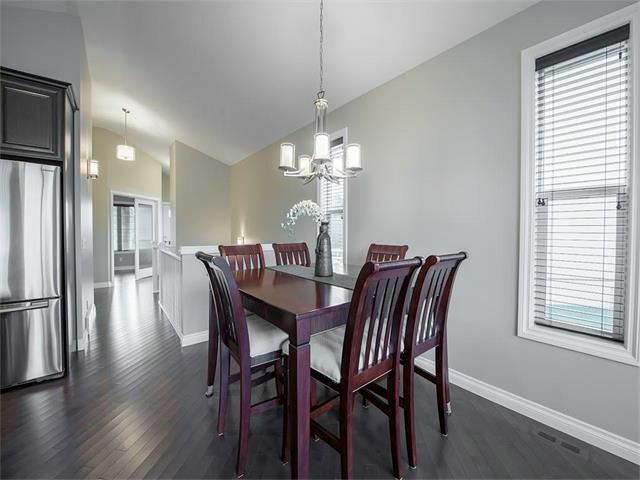 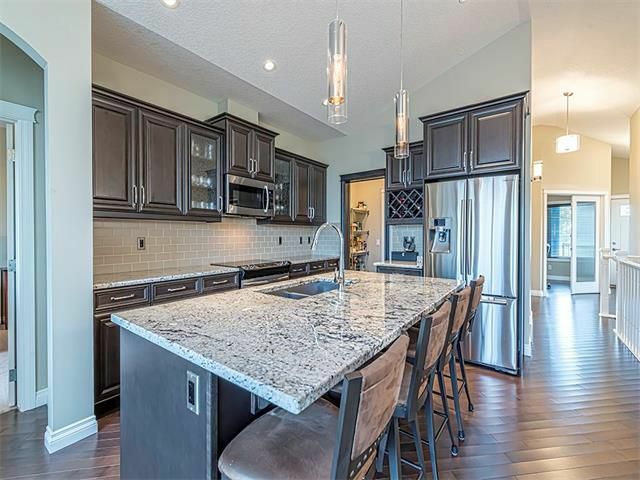 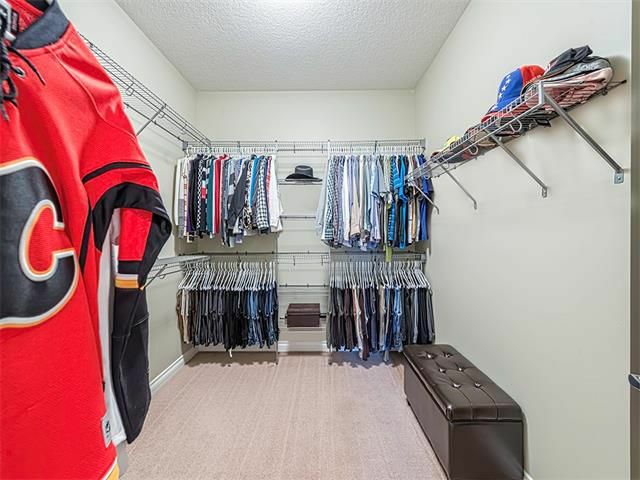 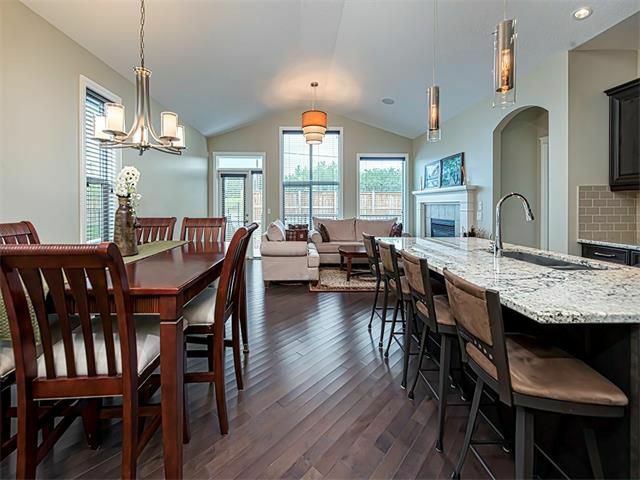 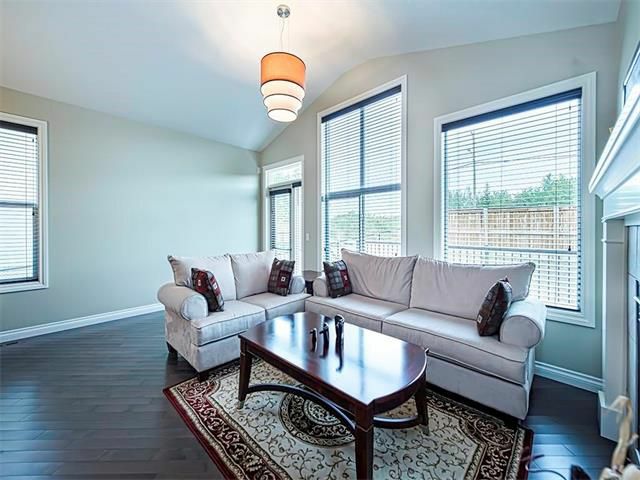 Open concept main floor boasts front flex room ideal for home office, dining room adjacent to kitchen and rear living room all accented by a stunning vaulted ceiling and rear wall of windows allowing for loads of natural light. Kitchen features granite counters, huge island with eating bar, upgraded stainless steel appliances and walkthrough pantry. 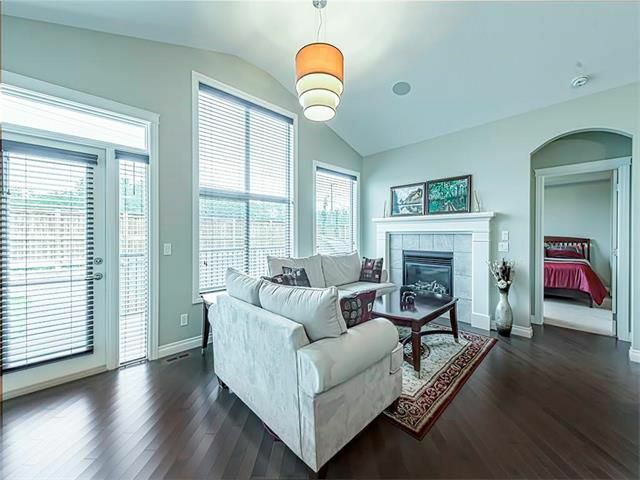 Living room showcases mantle trimmed gas fireplace. 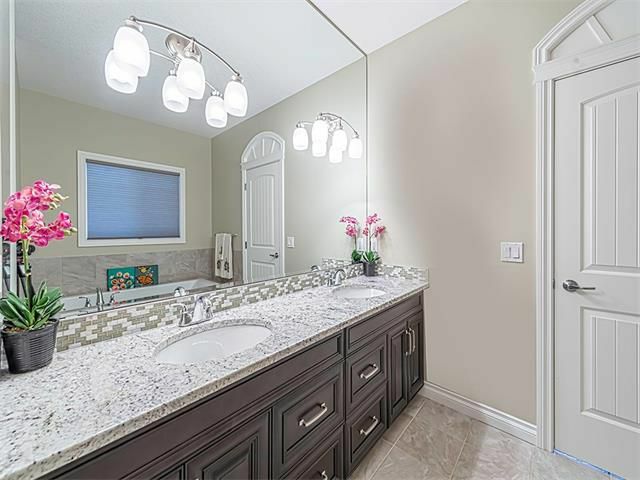 Spacious master retreat offers a spa like five piece ensuite with dual sinks, granite counters, oversized soaker tub, separate shower and enormous walk in closet. 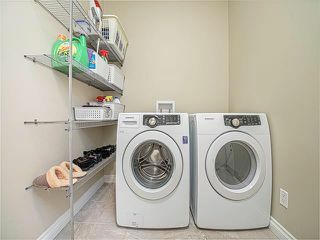 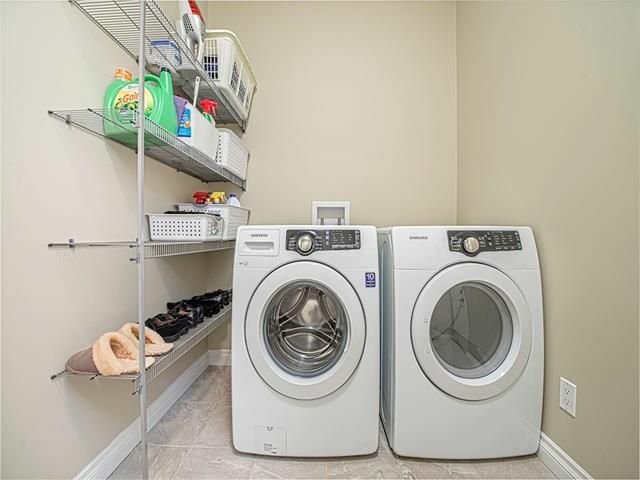 Laundry is conveniently located on the main floor. 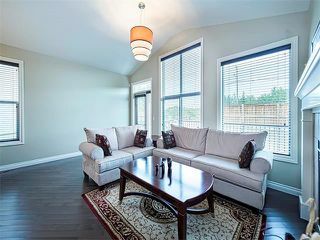 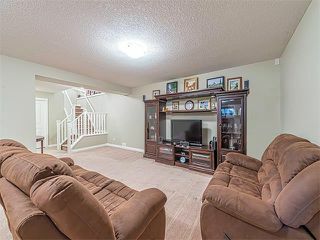 Gleaming hardwood and tile floors throughout the main level along with built in speaker system. 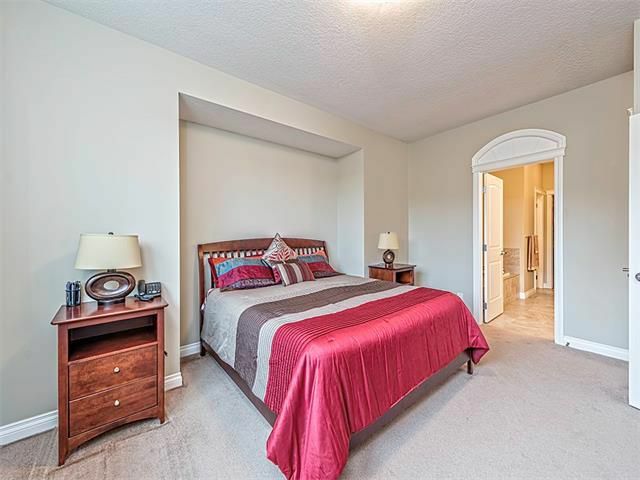 Lower level has second and third bedrooms, four-piece bathroom and huge family room. Large rear deck runs the width of the home and is ideal or relaxing or entertaining. 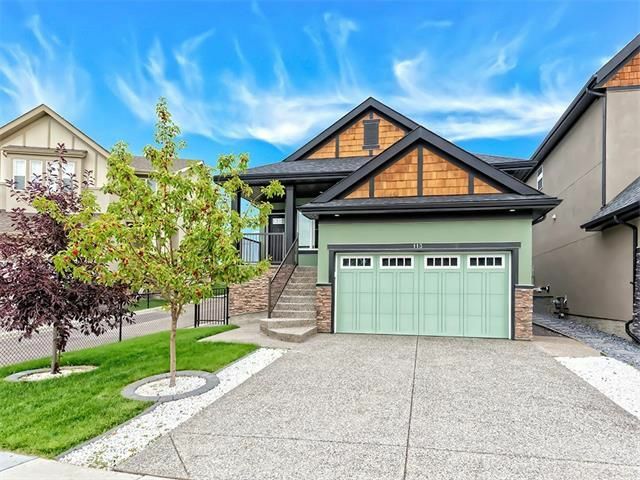 Double front attached garage with exposed aggregate driveway and walkway. An amazing home in immaculate condition with natural reserve across the street and steps from a wet pond, view it today! 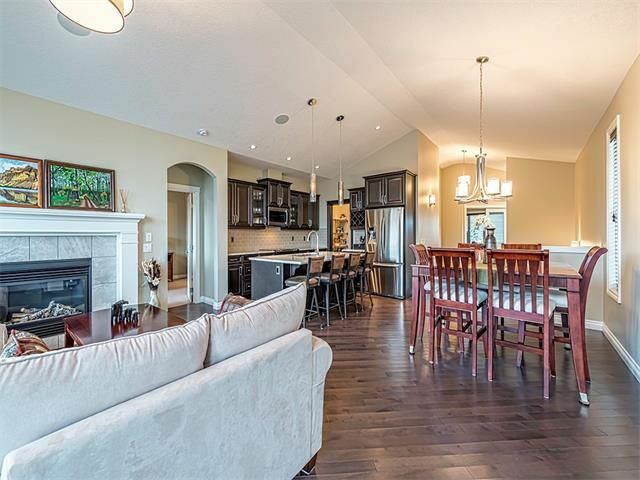 Spectacular open concept main floor plan with vaulted ceiling and rear wall of windows allowing for loads of natural light. Dining room located adjacent to kitchen. 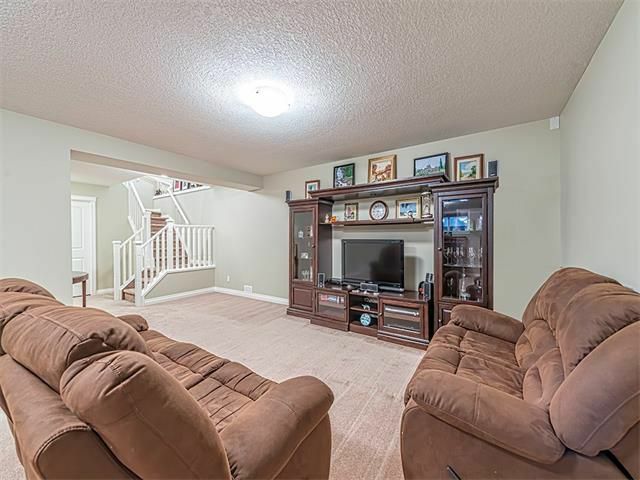 Living room with mantle trimmed gas fireplace and rear door leading out onto back deck. 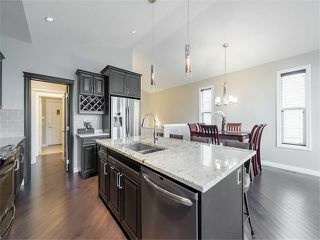 Kitchen boasts huge granite island with under mount sink, eating bar accented by pendulant lights. 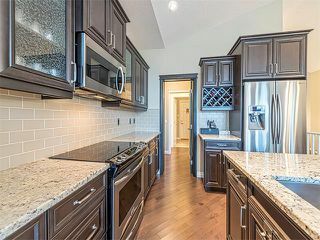 Kitchen with tiled backsplash and walkthrough pantry. 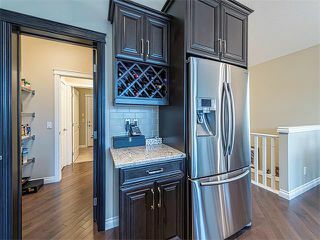 Kitchen with wine rack and walkthrough pantry. Open concept floor plan with modern designer colors and finishings throughout. Master bedroom with large window allowing for loads of natural light. Spa like ensuite bathroom with tile floor. 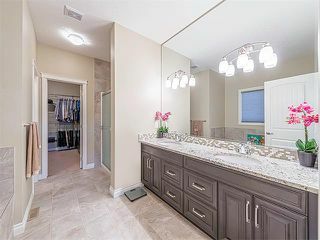 Dual vanity in ensuite with granite counters and undermount sinks. 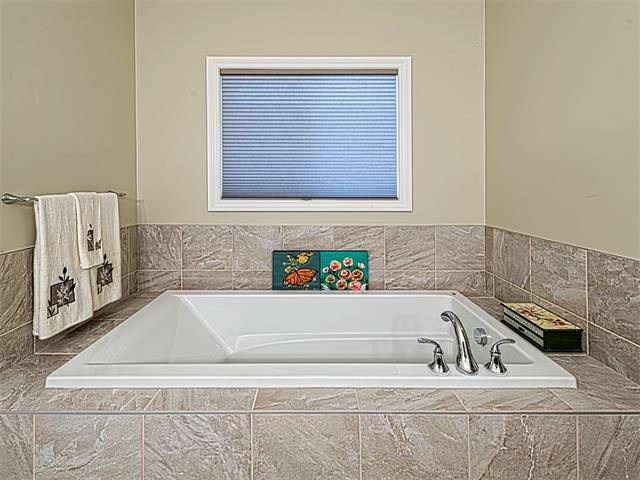 Large oversized soaker tub in ensuite. 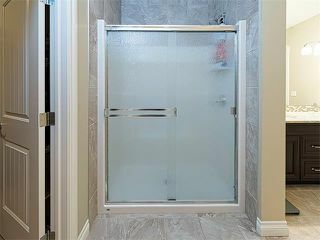 Oversized walk-in shower in ensuite. Two piece powder bathroom with granite banjo top vanity and undermount sink. 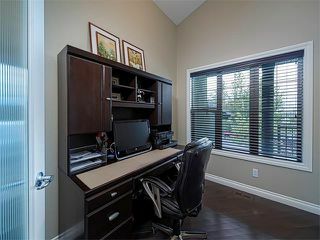 Main floor flex room ideal for home office. 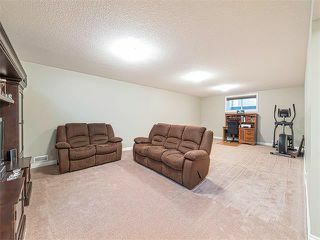 Huge family room in basement ideal for entertainment area or games room. 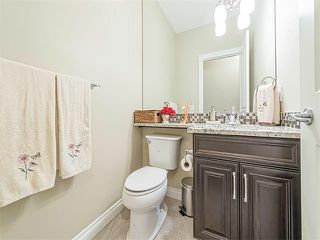 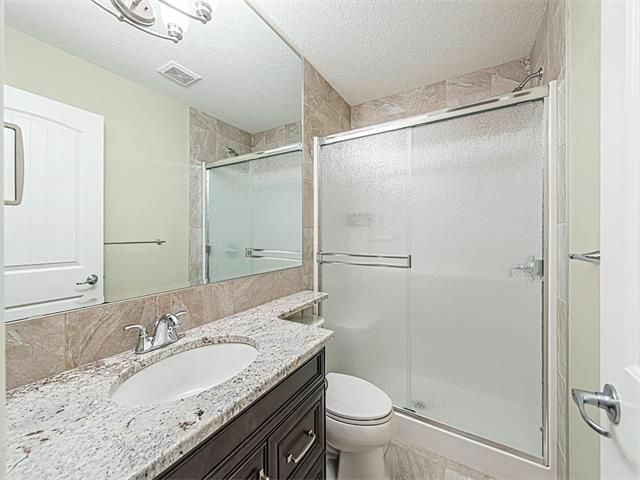 Four-piece bathroom in basement with tile floors, granite counters, undermount sink and walk in shower. 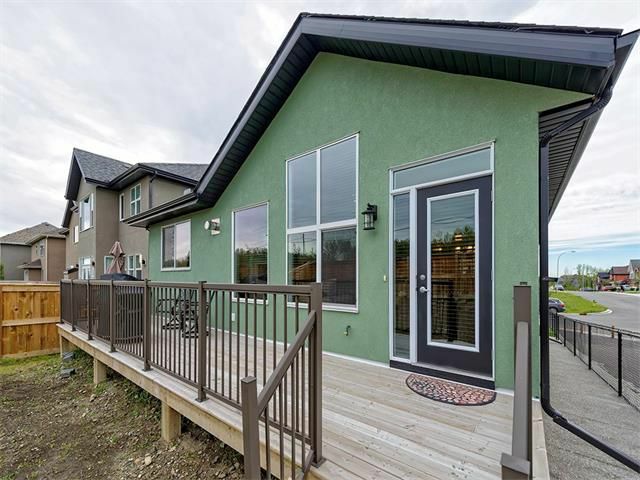 Rear deck runs the width of the property ideal for relaxing or entertaining.